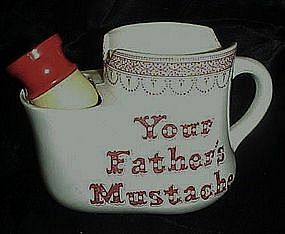 A nice shaving mug for Dad or Grandpa. Ironstone, made by Royal Crownford England. We have added a nice shaving brush to complete the package. Loks like an old one, but am pretty sure it is newer. Quality made of heavy porcelain and in mint condition with no damages. Would make a nice gift.